If you have stumbled upon this shiny new blog, then welcome! My name is Laura and a lover of all things vintage. But while there are many incredible pin up bloggers with perfectly rolled hair and beautiful dresses… I am still quite a novice, considering I have been building my retro wardrobe for 5+ years! My idea behind this blog is to help myself become more confident as a vintage gal and perhaps help a few readers along the way! I may be able to curl my hair, put a wing and some red lipstick on, but as I say, I am by far a pro at this pin up malarkey but hopefully we can grow as pin ups toge ther! I plan to write weekly about various beginner hints and tips, based on my own experiences. 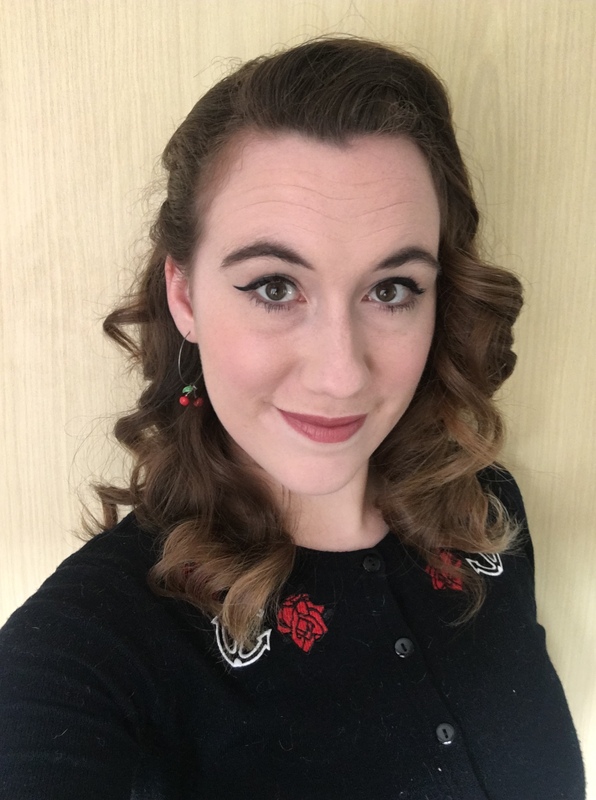 As I have been planning this blog today, I decided to try a new curling pattern on my hair I had seen on good old YouTube and as it turns out, today was a good hair and make up day! Anyway, if you are a beginner or in the early days of transforming into a vintage dame, and have any questions for me then comment below and say hi! Next My beginnings as a rockabilly gal!